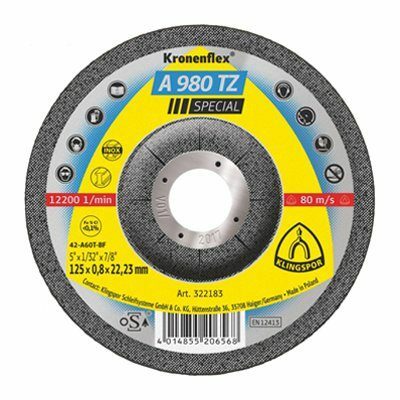 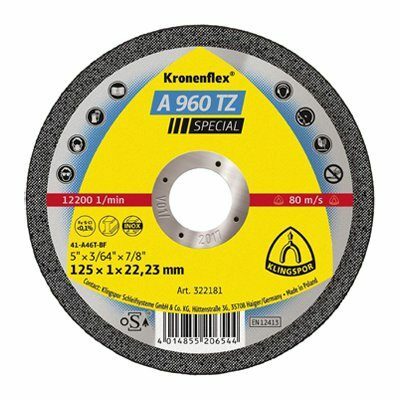 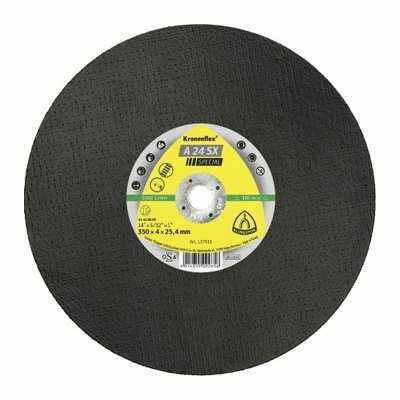 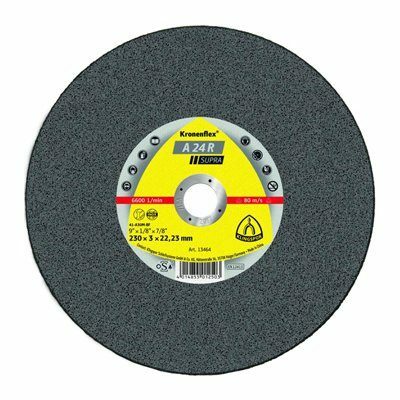 Kronenflex® Cutting-Off Wheels are characterized by their wide range of applications which includes processing steel, stainless steel, all main NF metals, all types of casting, natural and artificial stones and asphalt. 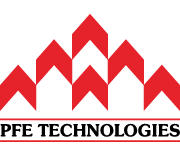 Wheels designed specially for the respective applications are the guarantee of a high cutting performance. 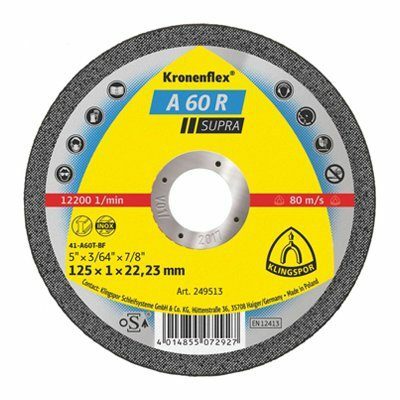 For hand-operated petrol powered cutters, KLINGSPOR has developed Supra and Special class cutting-off wheels in 300, 350 and 400 mm diameters. Besides our standard wheels for steel castings, we also make special types for cutting rails, black top, natural and artificial stone and ductile pipes. 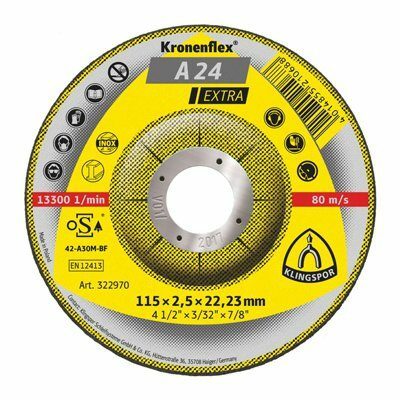 Stationary machines are best suited for economical cutting of large cross-sections and heavy workpieces. The Supra class of Kronenflex® Cutting-Off Wheels with their outstanding performance and long service life fulfills the most demanding requirements of stationary cutting.